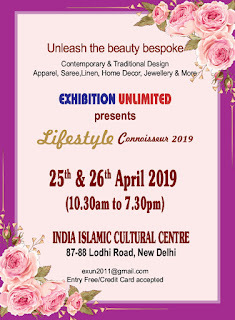 Delhi based Exhibition Unlimited (EXUN) brings to you 'Stunning Eternal Creations' for two days on 25th & 26th April, 2019 at India Islamic Cultural Centre, Lodhi Road, Delhi, after a series of successful events which met with overwhelming response . 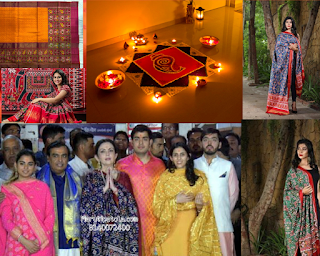 Exhibitions held under its aegis are mainly aimed at projecting and dissipating the strength of Indian Art and Artisans for their livelihood. 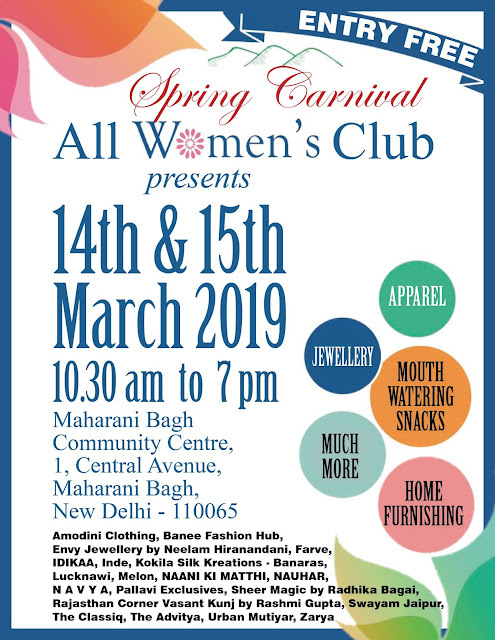 The event is focused on various forms of Art – contemporary to modern era in the form of art, craft, apparels – contemporary & ethnic, furnishing, jewelry- Silver, Semi Precious/ Artificial & Costume, handicrafts, interiors & artifacts, home décor, purses & bags, footwear, accessories, show pieces, gifts, novelties and what not!....... All these items are on display under one roof offering the visitors a unique opportunity to buy from women entrepreneur to indirectly supporting the women at different part of India. Patronized and inaugurated by eminent personalities like Shri S P Malviya, former Union Minister, Shri Ashish Makhija, President, Rotary Club Delhi , Shri Safdar H.Khan, Chairman of Minorities Comm - Delhi , Shri Atul S Wassan (Cricketer & Cricket Commentator), Hockey Legend - Shri Zafar Iqbal - Padma Shri and Arjun Awardee , Mrs. Mohsina Kidwai, MP - Rajya Sabha, Mr O P Mishra, Director ( NDMC) , Mrs Marie Elangovan ( Bharathanatyam Exponent) & Mr Govindrajan Elangovan ( Vocalist & Nattuvanar) , Dr Mairajuddin Ahmed , Former Irrigation Minister (U.P) ,Former Chairman UP export Corporation Ltd,and Mr. Tibor Kovács (Director, Cultural Counsellor) & Mrs.Orsolya Kovács-Jármy ,Balassi Institute - Hungarian Info and Cultural Centre and Mr Gianluca Grandi , Dy Head of Mission, Embassy of Italy, Prof. Danish Iqbal )(Playwright) , Dr Lavlin Thadani ( Artist), Ms Shamina Shafiq - Former Member National Commission for Women , Ms Subha Rajan Tampi , Head External Relations - CII , Ms Angeli Kapoor Puri , Founder & Chairperson - The Angeli Foundation , Ms Neelam Mansharamani - Soulful Artist & a Super Mom , Kanwarani Sohinder Nabha ( From Royal Family of Nabha) Former President - Women`s International Club & Rotary Club of Delhi South Cosmopolitian , Chairperson of Indo American Chamber of Commerce women`s Committee , Manjari Chaturvedi is a popular Sufi Kathak dancer of India , Ms Shikha Khare, Kathak Exponent , U.P. Sangeet Natak Academy Awardee , Arch of Excellence Award winner & Ms Jannabi Das Playback Singer and Song Writer, and a artist of international repute and the like, the organizer brings designers of Life Style items from different parts of the country under one roof. Exhibitors are carefully chosen for the uniqueness of their products. 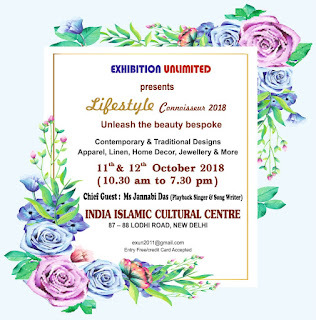 The targeted visitors at Lifestyle Connoisseur Exhibition are: Boutique/ Housewives and students, Fashion professional, Merchandisers, Corporate Buyers, Retailers, Media & other related professionals & General Public. This will obviously attract the gentry from the cultural and economic strata of the society thereby benefiting the exhibitors. 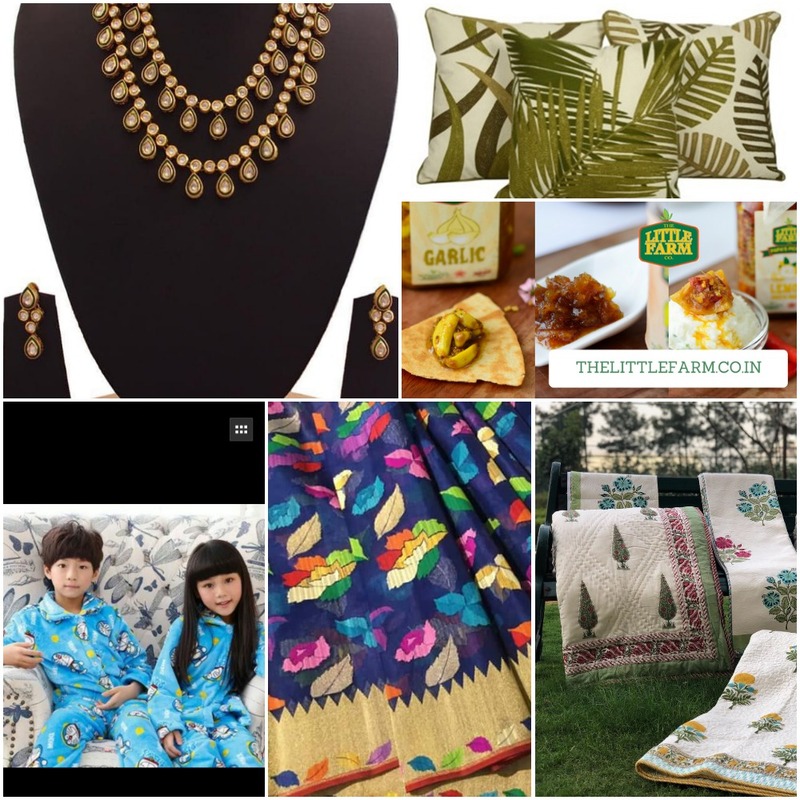 This is an excellent opportunity to shop for the near and dear ones. 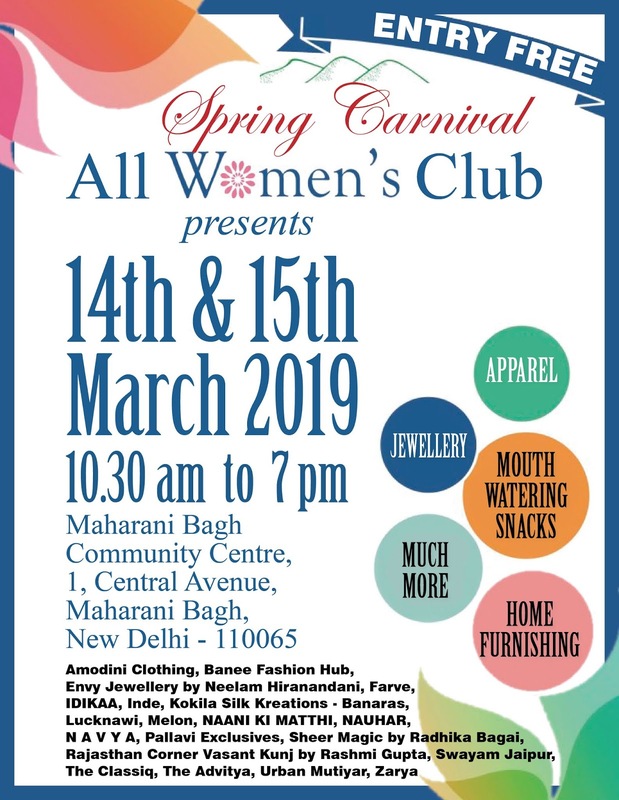 All Womens Club organising a Spring Carnival 2019 for two days at Maharani Bagh Community Centre, 1 Central Avenue, Maharani Bagh, New Delhi on 14th & 15th March2019 after a series of successful events which met with overwhelming response . 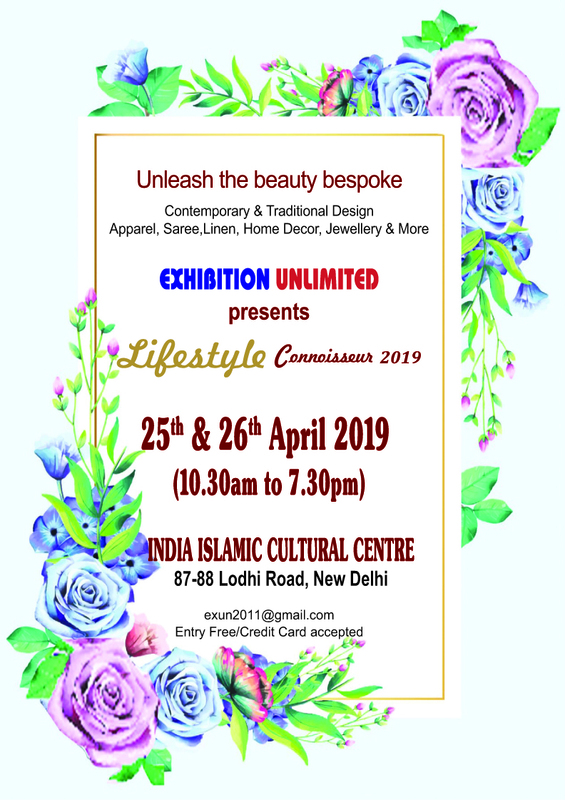 Exhibition Unlimited based at New Delhi, is an organization formed with the sole objective of promoting diverse forms of Indian art and culture amongst the people who appreciate and value the same. 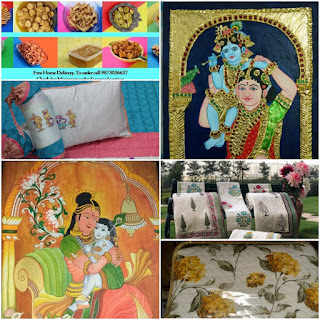 The company is run by Dynamic Team who organizes renowned exhibitions from contemporary to modern era in New Delhi. 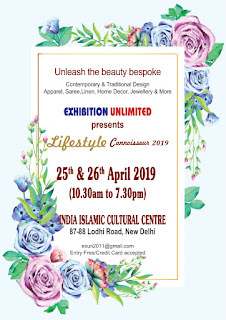 Exhibition Unlimited has successfully managed number of Lifestyle Connoisseur exhibitions in Delhi with top renowned exhibitors. The company has established an identity of its own by attracting quality footfall during all its previous exhibitions. Exhibitions held under its aegis are mainly aimed at projecting and dissipating the strength of Indian Art and Artisans for their livelihood. 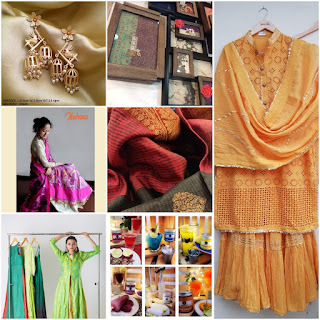 The event is focused on various forms of Art – contemporary to modern era in the form of art, craft, apparels – contemporary & ethnic, furnishing, jewelry- Silver, Semi Precious/ Artificial & Costume, handicrafts, interiors & artifacts, home décor, purses & bags, footwear, accessories, show pieces, gifts, novelties and what not! STYLE is what you choose. 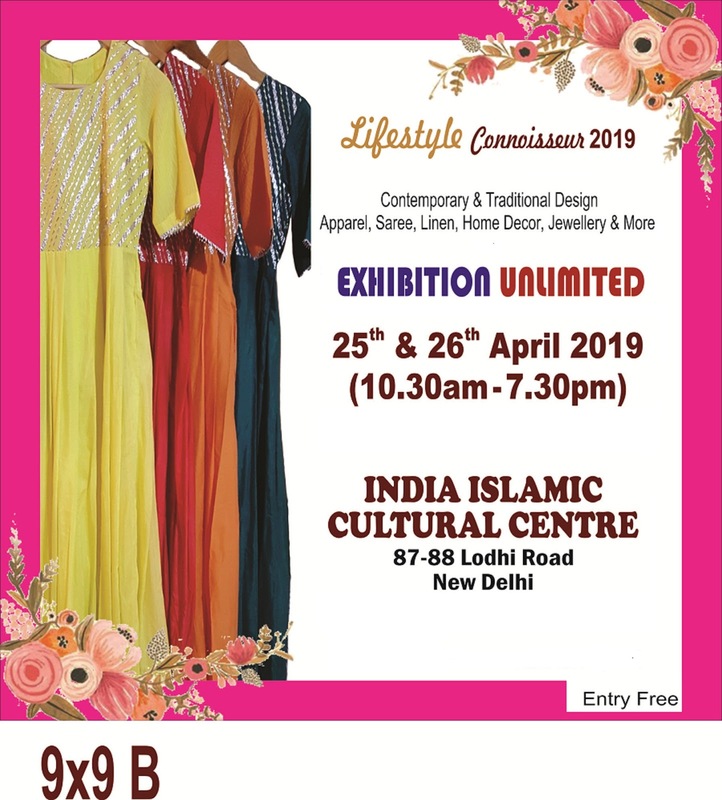 It’s all about Lifestyle Exhibition!! 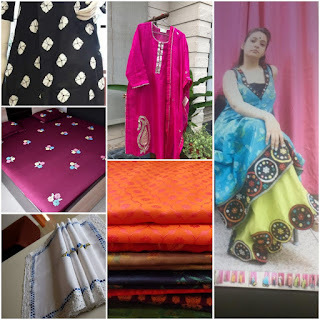 You will get to see all items under one roof offering the visitors a unique opportunity to buy from women entrepreneur to indirectly supporting the women at different part of India. 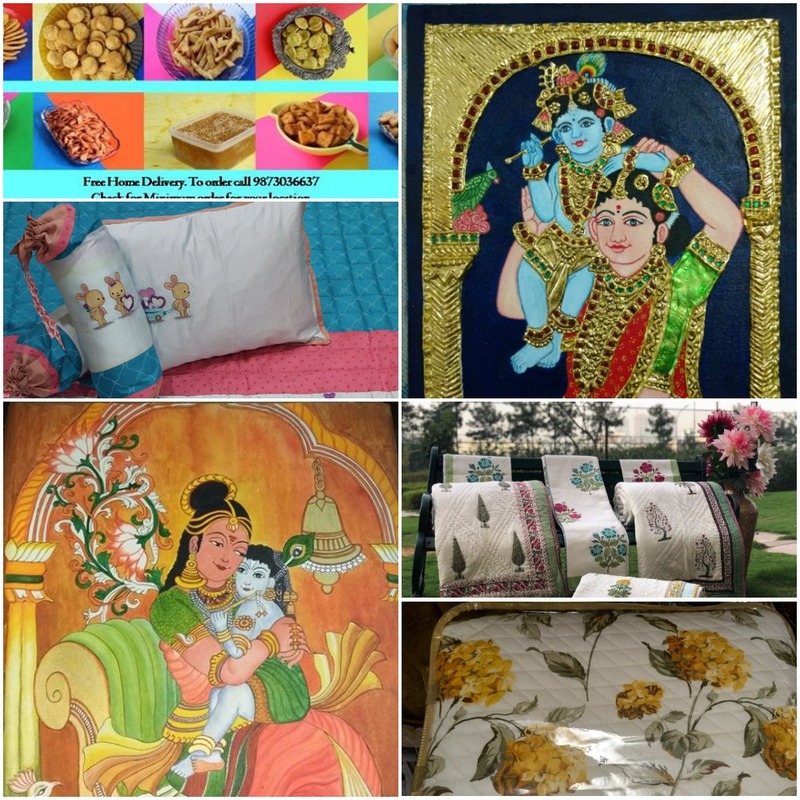 Exhibition Unlimited is the name on which you can trust upon for any kind of Lifestyle EXHIBITIONS. 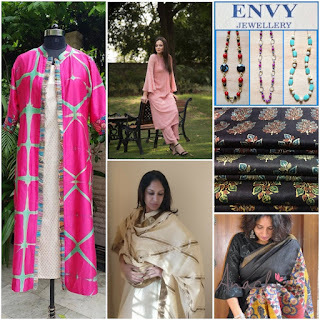 The organizer brings designers of Life Style items from different parts of the country under one roof. Exhibitors are carefully chosen for the uniqueness of their products. 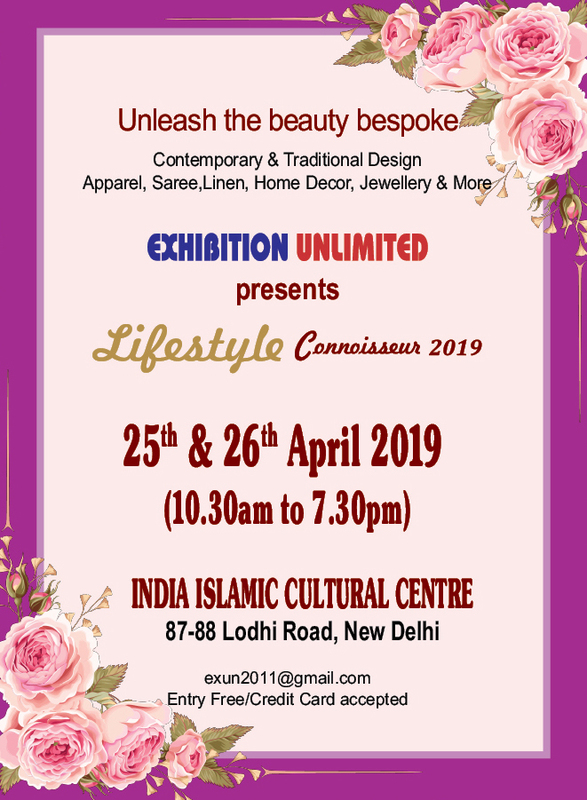 After a series of successful events which met with overwhelming response, Exhibition Unlimited (EXUN) 'Stunning Eternal Creations' is all set to host yet another Lifestyle of two days ie. 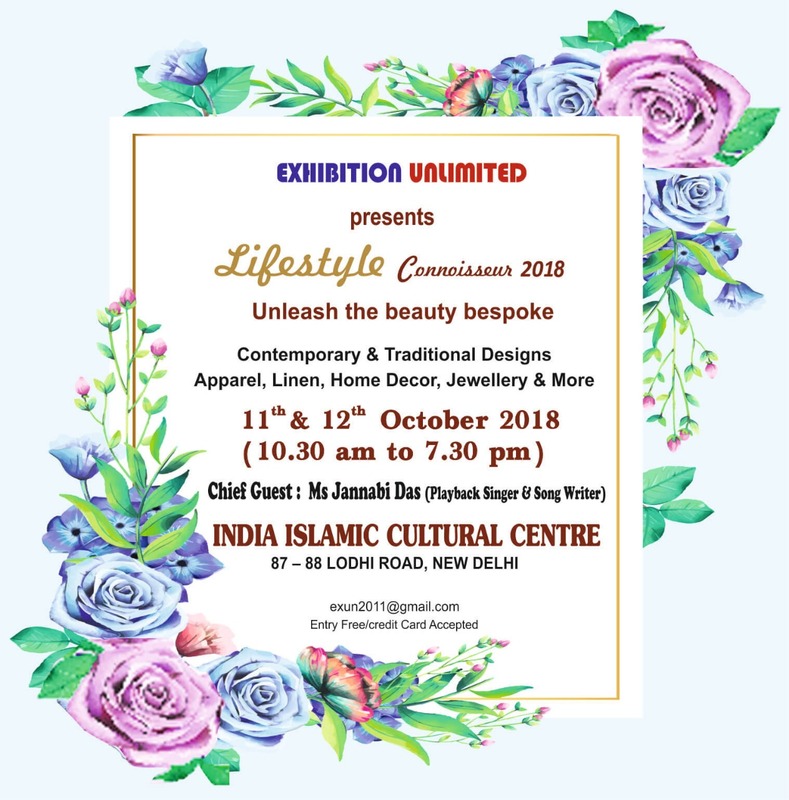 on 11th & 12th October, 2018 at India Islamic Cultural Centre, Lodhi Road, Delhi. Performance by MsJannabi Das, Playback Singer and Song Writer - kick off the show on 11th October , 2018 at 11.30 AM. 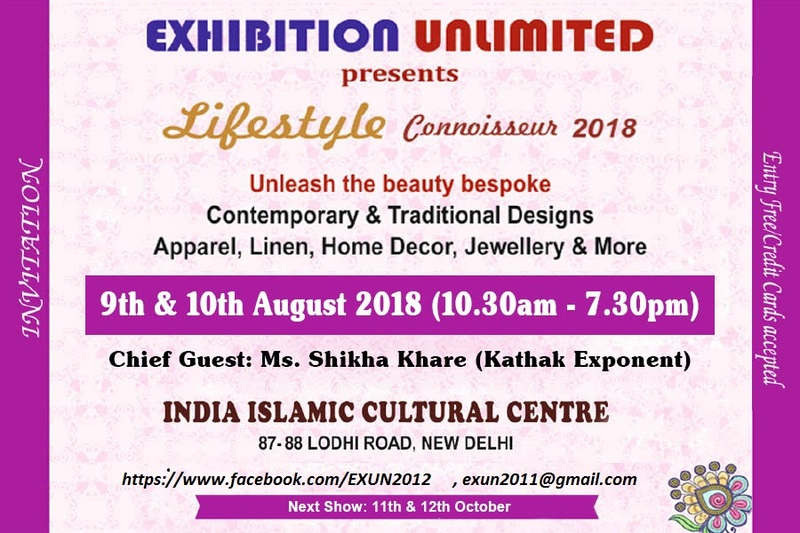 Delhi based Exhibition Unlimited (EXUN) brings to you 'Stunning Eternal Creations' for two days on 11th & 12th October, 2018 at India Islamic Cultural Centre, Lodhi Road, Delhi, after a series of successful events which met with overwhelming response . Patronized and inaugurated by eminent personalities like Shri S P Malviya, former Union Minister, Shri Ashish Makhija, President, Rotary Club Delhi , Shri Safdar H.Khan, Chairman of Minorities Comm - Delhi , Shri Atul S Wassan (Cricketer & Cricket Commentator), Hockey Legend - Shri Zafar Iqbal - Padma Shri and Arjun Awardee , Mrs. Mohsina Kidwai, MP - Rajya Sabha, Mr O P Mishra, Director ( NDMC) , Mrs Marie Elangovan ( Bharathanatyam Exponent) & Mr Govindrajan Elangovan ( Vocalist & Nattuvanar) , Dr Mairajuddin Ahmed , Former Irrigation Minister (U.P) ,Former Chairman UP export Corporation Ltd,and Mr. Tibor Kovács (Director, Cultural Counsellor) & Mrs.Orsolya Kovács-Jármy ,Balassi Institute - Hungarian Info and Cultural Centre and Mr Gianluca Grandi , Dy Head of Mission, Embassy of Italy, Prof. Danish Iqbal )(Playwright) , Dr Lavlin Thadani ( Artist), Ms Shamina Shafiq - Former Member National Commission for Women , Ms Subha Rajan Tampi , Head External Relations - CII , Ms Angeli Kapoor Puri , Founder & Chairperson - The Angeli Foundation , Ms Neelam Mansharamani - Soulful Artist & a Super Mom , Kanwarani Sohinder Nabha ( From Royal Family of Nabha) Former President - Women`s International Club & Rotary Club of Delhi South Cosmopolitian , Chairperson of Indo American Chamber of Commerce women`s Committee , Manjari Chaturvedi is a popular Sufi Kathak dancer of India , Ms Shikha Khare, Kathak Exponent , U.P. 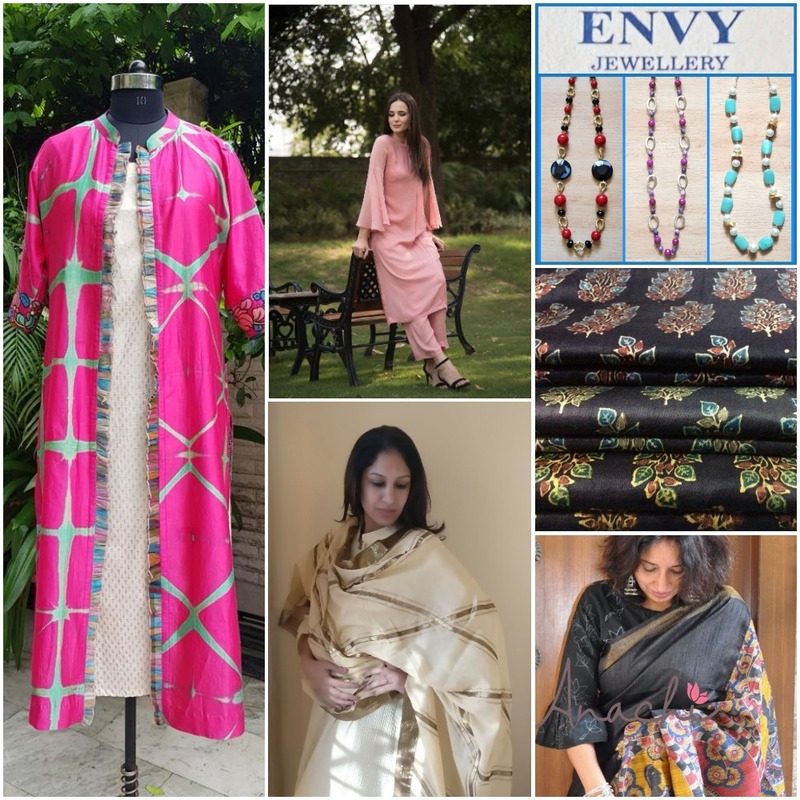 Sangeet Natak Academy Awardee , Arch of Excellence Award winner and a artist of international repute and the like, the organizer brings designers of Life Style items from different parts of the country under one roof. Exhibitors are carefully chosen for the uniqueness of their products. 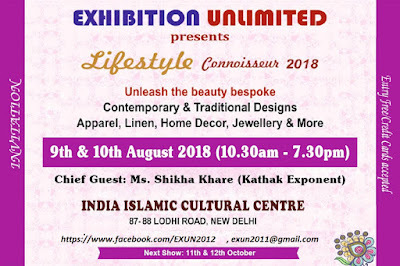 Delhi based Exhibition Unlimited (EXUN) brings to you 'Stunning Eternal Creations' for two days on 9th & 10th August 2018 at India Islamic Cultural Centre, Lodhi Road, Delhi, after a series of successful events which met with overwhelming response . 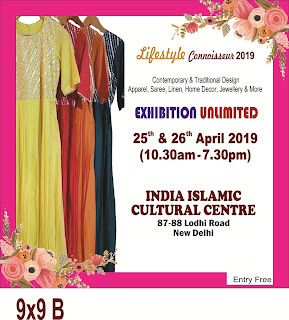 Patronized and inaugurated by eminent personalities like Shri S P Malviya, former Union Minister, Shri Ashish Makhija, President, Rotary Club Delhi , Shri Safdar H.Khan, Chairman of Minorities Comm - Delhi , Shri Atul S Wassan (Cricketer & Cricket Commentator), Hockey Legend - Shri Zafar Iqbal - Padma Shri and Arjun Awardee , Mrs. Mohsina Kidwai, MP - Rajya Sabha, Mr O P Mishra, Director ( NDMC) , Mrs Marie Elangovan ( Bharathanatyam Exponent) & Mr Govindrajan Elangovan ( Vocalist & Nattuvanar) , Dr Mairajuddin Ahmed , Former Irrigation Minister (U.P) ,Former Chairman UP export Corporation Ltd,and Mr. Tibor Kovács (Director, Cultural Counsellor) & Mrs.Orsolya Kovács-Jármy ,Balassi Institute - Hungarian Info and Cultural Centre and Mr Gianluca Grandi , Dy Head of Mission, Embassy of Italy, Prof. Danish Iqbal )(Playwright) , Dr Lavlin Thadani ( Artist), Ms Shamina Shafiq - Former Member National Commission for Women , Ms Subha Rajan Tampi , Head External Relations - CII , Ms Angeli Kapoor Puri , Founder & Chairperson - The Angeli Foundation , Ms Neelam Mansharamani - Soulful Artist & a Super Mom , Kanwarani Sohinder Nabha ( From Royal Family of Nabha) Former President - Women`s International Club & Rotary Club of Delhi South Cosmopolitian , Chairperson of Indo American Chamber of Commerce women`s Committee , Manjari Chaturvedi is a popular Sufi Kathak dancer of India and the like, the organizer brings designers of Life Style items from different parts of the country under one roof. Exhibitors are carefully chosen for the uniqueness of their products. 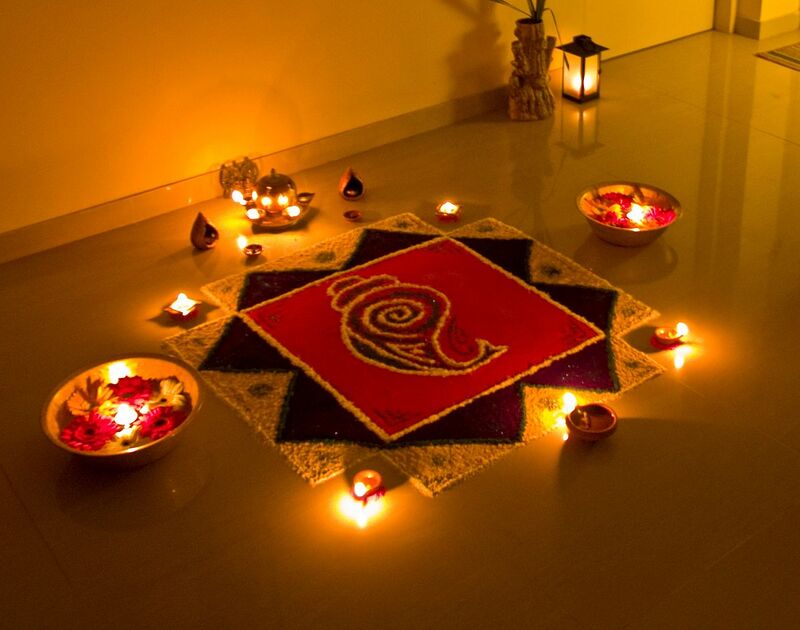 Ms Shikha Khare, Kathak Exponent , U.P. 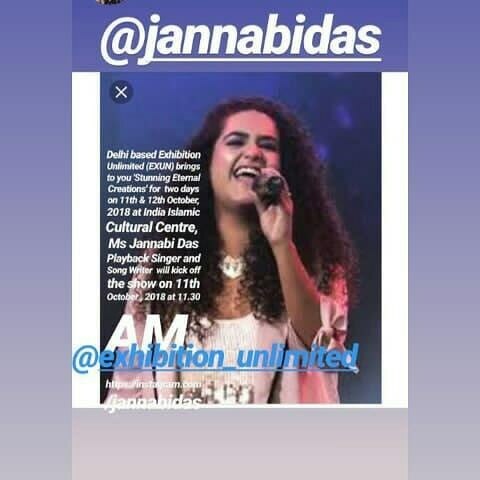 Sangeet Natak Academy Awardee , Arch of Excellence Award winner and a artist of international repute is going to flag off the exhibition on 9th August, 2018 at 11.30 am to bring a wonderful experience to one and all.